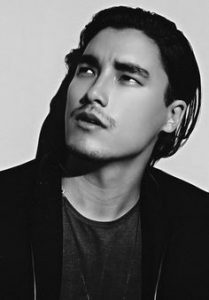 Remy Hii is an Australian actor of film and television. He is best known for portraying Van Tuong Nguyen in the Australian 4-part mini-series Better Man, for which he was nominated for the AACTA Award for Best Lead Actor in a Television Drama, and won the Graham Kennedy Award For Most Outstanding Newcomer. He is also known for playing Hudson Walsh in the soap opera Neighbours, Prince Jingim in the Netflix original series Marco Polo, and Simon Van Reyk in the Australian television crime drama Harrow. Born on july 24, 1986 in Queensland, Australia, to an English mother and a Chinese-Malaysian father, he attended the Queensland University of Technology. He graduated in 2011 from National Institute of Dramatic Art (NIDA) in Sydney. *He was born in Queensland, Australia on july 24, 1986. *He is of Chinese-Malaysian descent on his father’s side, and of English descent on his mother’s side. *He began his career on stage at 19.